How do you reduce the risks ? With significant experience in Change Management using the Prosci® Methodology The Food Service Expert are well placed to support any significant changes to ensure the minimum of risk and a maximum return with the quickest adoption of the changes. 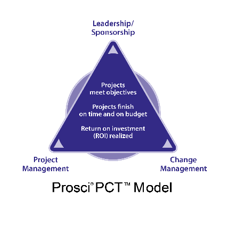 There is a clear distinction between the management of the project and the management of the people which is all too often missed.